Liberals disgustingly celebrated the social purge of pro-Trump commentator Alex Jones. The so-called defenders of tolerance and free expression danced on his grave and fully embraced censorship. But liberals remain silent on one group that continues to be present on Facebook. Liberals have had it in for Alex Jones for years. While his content may be controversial, he’s not the existential threat the left makes him out to be. 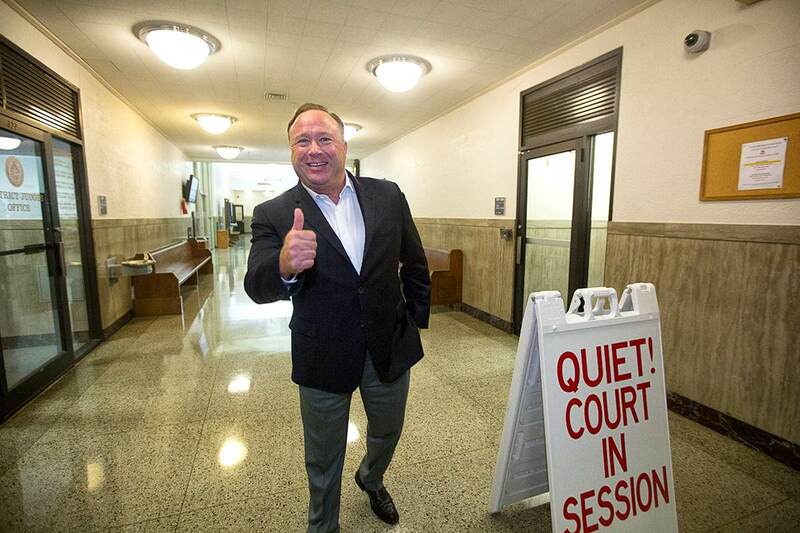 But Jones became the perfect test case for the left’s assault on free speech and civil liberties. While the left claims to be in favor of free speech, they’re really only in favor of free speech for themselves. They believe it is their duty to shut down the “intolerant.” In a chilling recent statistic, 40% of college students believe hate speech should not be protected. This is truly terrifying because hate speech has no legal designation. All speech that does not incite violence is protected by the First Amendment from government tyranny. In the left’s view, speech is violence, which makes them believe they’re justified in using violence to shut down speakers with opposing viewpoints. These indoctrinated college students are taking their cues from radical leftists who have completely rotted the humanities and social sciences, and insinuated their way into various sectors of American life. This cultural decay is the left’s way of censorship through backdoor means since they haven’t been able to topple the First Amendment. Through their cultural influence, the left has found like-minded allies in the tech world who control the platforms of information in the digital era. The left decided it was time for Alex Jones to go, so he was simultaneously purged from half a dozen platforms. Leftists rejoiced the move, and even criticized Twitter for not joining the outrage mob. Facebook and other platforms used nebulous reasons to ban Jones, such as saying he violated their “hate speech” policy. However, Facebook has made no effort to shut down the far-left domestic terror group Antifa, which has several active pages on the platform. If hateful speech is the standard by which Jones was judged, Antifa protesters in Portland called black ICE agents “N*****s for the white man” and “race-traitors” and spit on them. Outside of conservative media, Antifa has gotten almost zero negative press, and continues to operate on Facebook. This shows the utter hypocrisy of the left. They felt Alex Jones just had to be purged, but they’re okay with Antifa running wild because they’re the foot soldiers who do their dirty work. Some members of Antifa are even university professors who’ve suffered zero consequence for their affiliation with a violent terror group. In a delicious twist of irony, Alex Jones’s app shot up to number one on the Apple Store, and he received millions of new subscribers.